The sweatlodge is a refuge where the concerns of this world fall away and connection to the spirit world opens. It was in this prayerful atmosphere that James Cecil Desjarlais, 67, of Manitoba’s Sandy Bay First Nation took a short walk into his next life. As the Elder-in-Residence at the O-Chi-Chak-Ko-Sipi Healing Lodge in Crane River, Man., Cecil regularly attended sweatlodge ceremonies. On April 25, 2012, he succumbed to a heart attack “doing what he loved best and surrounded by members of the lodge who prayed with him,” said his daughter Cynthia. Last October, when the recently-retired Cecil took up his new position at the Healing Lodge, Anne worried the job might take an emotional toll on her husband. To many, Cecil was known as Zhaawano Noodin—South Wind Walker—in his Anishinaabe language. He was born in 1944 in Sandy Bay to farming parents Andrew and Ida Desjarlais and was the oldest of seven children. 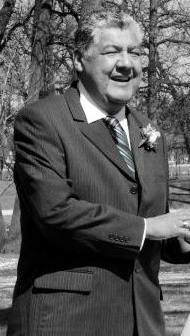 After attending Sandy Bay Residential School, and then Assiniboia Residential School in Winnipeg, Cecil went on to receive his Bachelor of Teaching degree at Brandon University. After meeting Anne at that post-secondary institution, he married her on Sept. 14 in 1974, but the couple came to recognize two more wedding anniversary dates. After graduation, Cecil’s first job was as the school principal in the Métis community of Vogar, Man. “I wouldn’t say it was a one-room school, but it was small and housed students up to Grade 6,” said Anne, also a teacher. After Vogar, Cecil taught school in Sandy Bay, Lake Manitoba and St. Theresa Point. The position in St. Theresa Point proved to be a challenge for Cecil because the community was so isolated. He only taught there for two years. Throughout his life Cecil supported students beyond academics and into the realm of sport. He served as a member of the North American Indigenous Games Council, Manitoba Aboriginal Sports and Recreation Council and the Aboriginal Sports Circle. In his community he served as a Sandy Bay First Nation Band Council member and on an Aboriginal Healing Foundation Project. He was also a member of the Knights of Columbus. Cecil and Anne had seven children (two predeceased him), 20 great grandchildren and seven great grandchildren, who adored him. “Cecil taught one of his grandsons to ‘moon walk’. The old man would go right across the living room with the kids right behind him, copying him,” Anne recalled. Cynthia, who followed in her father’s footsteps as a teacher and who worked on the Ebb and Flow First Nation at the time of this writing, paid tribute to her father with the words, he “always taught us to pray and to be thankful for all our blessings. He was a humble man who travelled around helping people and sharing a message of love and forgiveness.